Blog :: The Sweet Spot of Support :: Read Naturally, Inc.
Read Naturally founder Candyce Ihnot likes to tell the story of a little boy who went from struggling to fluent using the Read Naturally program. When Candyce asked the boy how he got to be such a good reader, he said with a smirk, “It was nothing you did.” Rather than be offended by his brutal honesty, Candyce was delighted. The boy was taking due credit for his own accomplishment. He had come to understand that he’d possessed the tools for success all along. Having found the confidence and fortitude to master a huge challenge, he could now draw on those qualities again in the future—without his teacher’s help. Of course, the boy’s assessment that Candyce had done absolutely nothing to help him learn to read was not entirely accurate. Rather, Candyce had offered just the right amount of support while still allowing him to feel ownership of his own success. Read Naturally teachers should aim to strike this same balance. The sweet spot lies in middle ground between over-functioning for your students, hijacking their accomplishments, and leaving them hanging without enough support to thrive. So how do you find this sweet spot? To properly train students in how to use the program and to set clear expectations from the beginning. In Read Live, you can teach your students how to do the steps of any Read Naturally Live series by combining a four-part video series, A Student's Guide to Read Naturally Live, with hands-on experience. In each video a student demonstrates a different set of Read Naturally Live steps. After watching a video, have each student log in to his/her first Read Naturally Live story and complete the steps demonstrated in the video. Read Naturally Strategy programs also include detailed lesson plans for training students. Click here for the lesson plans for Read Live, and click here for the lesson plans for Read Naturally Encore. To place each student in an appropriate level and set an individual goal. This system maximizes each student’s potential to make gains at an appropriate pace. To assist with the student’s first three cold timings and to check initial placement. Teacher involvement in the cold-timing step for at least the first three stories is crucial for checking initial placement. It also ensures more accurate performance data and teaches students to become self-correcting readers. To pass the student on each story and review progress. Reviewing the fluency and comprehension graphs with the student during the Pass Step allows you to provide feedback on the student’s performance and recognize progress. It is especially important to review the student’s quiz with him or her, offering instruction as needed on certain types of questions. Check out the Strategy for Teaching Comprehension document for helpful ideas. 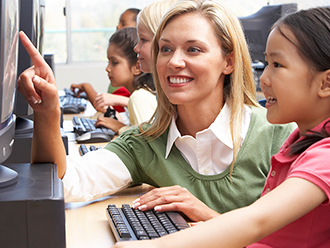 Because teacher involvement is so important, you may benefit from enlisting trained helpers. Having a lower teacher-to-student ratio—ideally six students per teacher/helper—tends to make the program run more smoothly. In Read Live, you can set up Support Staff and Program Helpers to conduct cold and hot timings, determine whether a student meets the requirements for passing, and assign remedial actions for a student who does not pass. Support Staff can also assist teacher with adding, editing, deleting and assessing students. Click here for information on how to add Support Staff and Program Helpers to your Read Live account. The long-term goal is for your Read Naturally students to become fluent, confident, and independent readers. Struggling readers have no time to waste, and teacher support is crucial in helping them reach this goal as efficiently as possible. At the same time, you must help your students understand that their success is the direct result of their own efforts, and that they possess the skills they need to become good readers. To this end, take care to ensure they work independently on the steps that allow for it, and celebrate their graphs as proof of progress. If, in the end, you have a fluent reader who can take full credit for his accomplishments, you’ll know you struck the right balance.